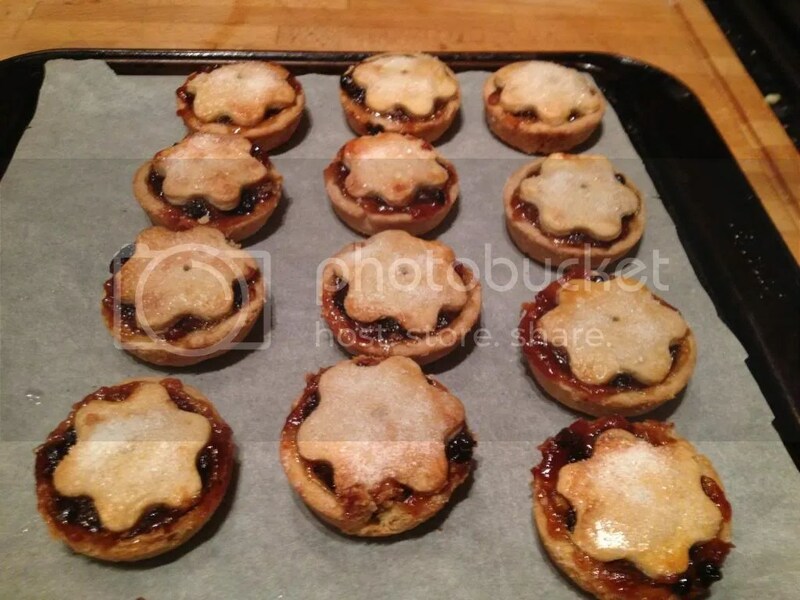 In the 1600s mincemeat used to actually contain meat (mutton) mixed with beef suet, spices such as cinnamon and nutmeg, ginger and orange ring. Now mincemeat is a fruity blend of dried and/or candied fruits, rinds, brandy and spices. 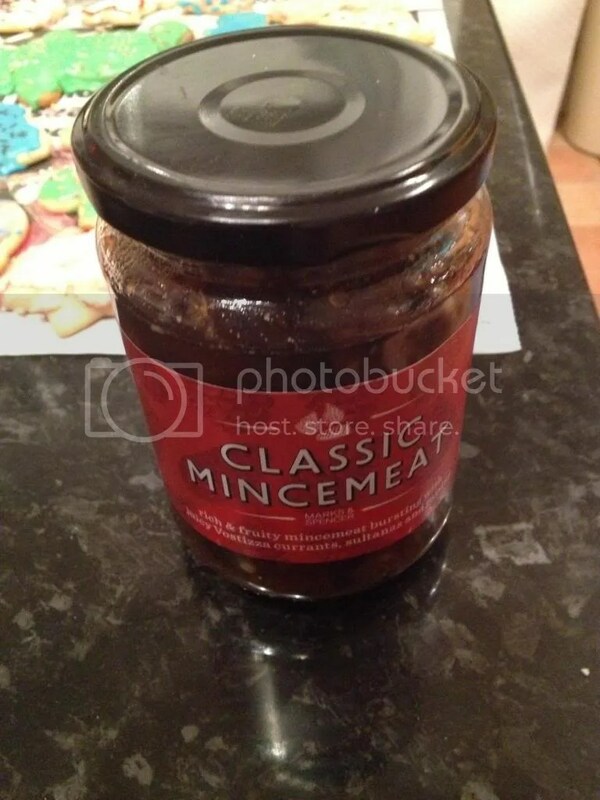 Today’s modern conveniences allowed me to pick up a jar of pre-made mincemeat to help me save time. 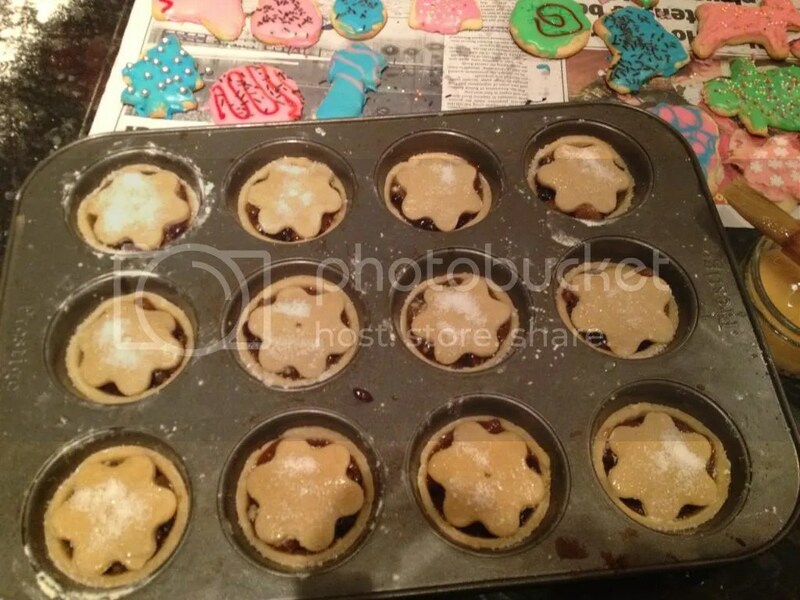 They do sell mincepie plates but I used my American sized muffin tin as I hadn’t enough time to pick up some of the little pie plates. 1. 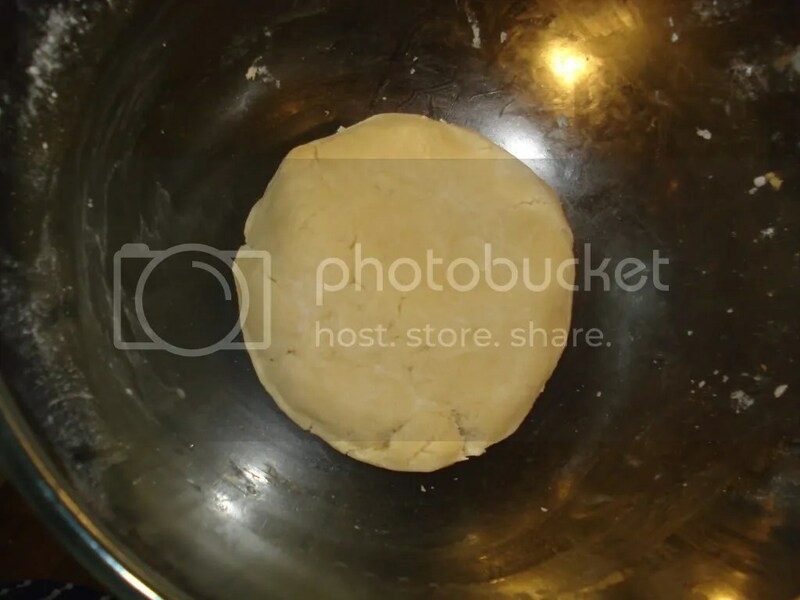 Make the pie crust as per instructions (here) or if you purchased store bought crust simply roll out. 2. 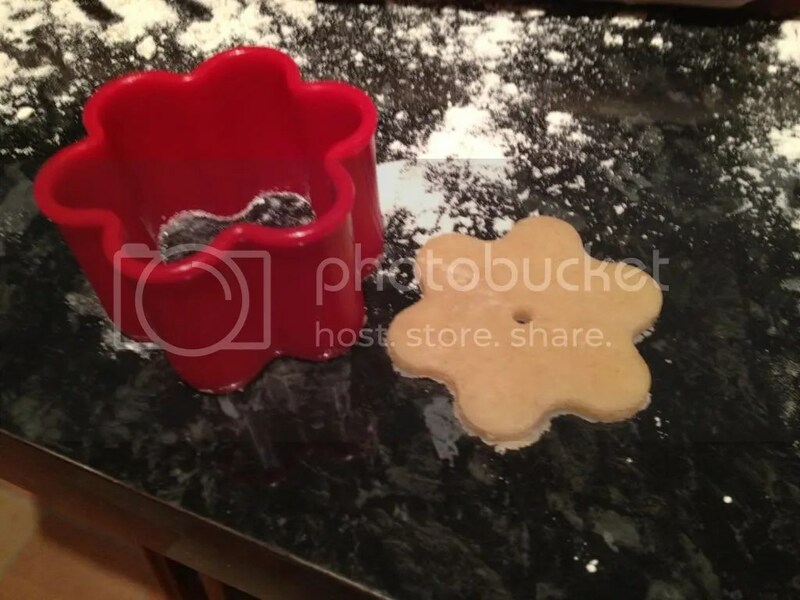 Use a round cookie/biscuit cutter to cut rounds out of the crust that will fit into your muffin tin. 3. Pat the rounds into the depressions in your muffin tin. 4. Fill the rounds with the jarred mincemeat. 5. 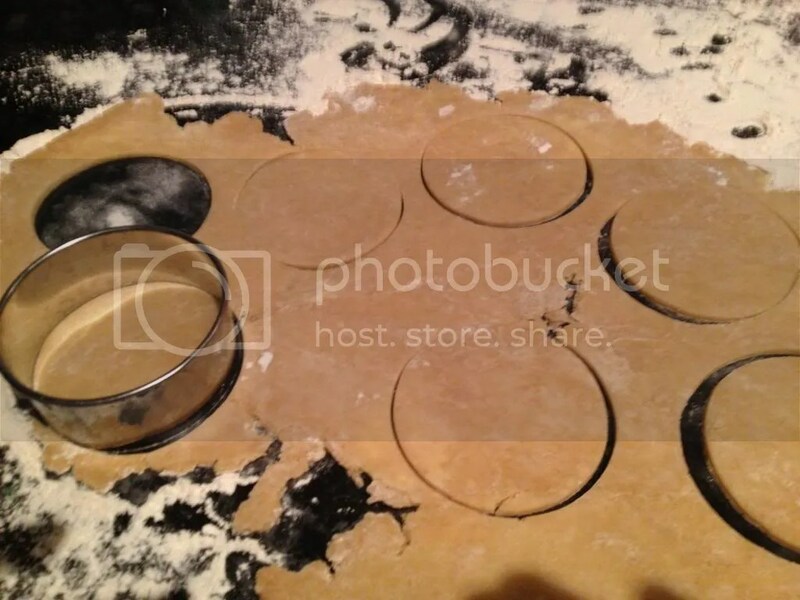 Use a decorative cookie cutter to cut out toppers for the pies and place on each pie. 6. Beat an egg with a teaspoon of water. 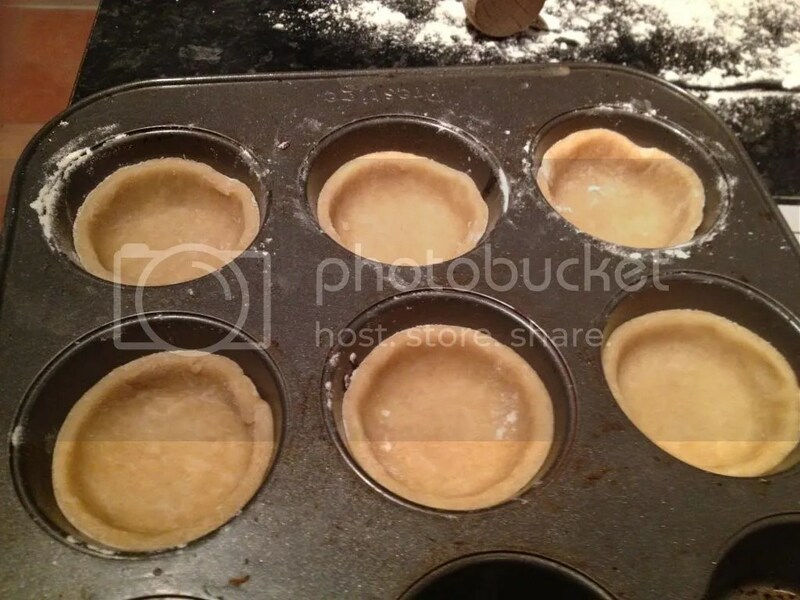 Use a pastry brush to brush the eggy wash over the tops of the pies and sprinkle generously with sugar. 7. Bake in a pre-heated oven at 350˚F or 180˚C for 25-30 minutes or until golden. 8. Wait until completely cooled to remove as the mincemeat will be boiling hot. Reheat to serve warm. « Coming to you live from the USA!